She became the President of the Tully Area Historical Society in 1993 at the age of 74 and accomplished the task of bringing it from a struggling organization to its current condition - a robust organization with many accomplishments under its belt. She worked tirelessly to submit the necessary information needed for the TAHS to qualify for the NYS Dept. of Ed. Board of Regents' Charter for "...historical societies with collections." In 1999, that goal was achieved as well as our qualification for 501(C)3 non-profit status. Under her supervision many improvements and repairs have been made to the two church buildings that house our museum, library, The Twice Read Bookstore and The Peddler Consignment shop. The north building which houses The Peddler is in the process of being sided and will be completed as funds become available. Also, the old train depot was restored under her watch and is frequently reserved by the public for activities, parties and events. 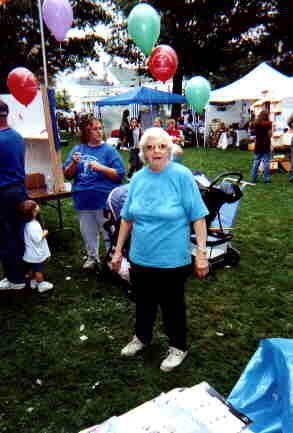 Eleanor mentored many in the area, always challenging them to expand their knowledge and give back to their community. She marveled many by her uncanny aptitude for learning the latest computer programs and techniques. Her door was always open to organizations needing a helping hand in promoting their activities. 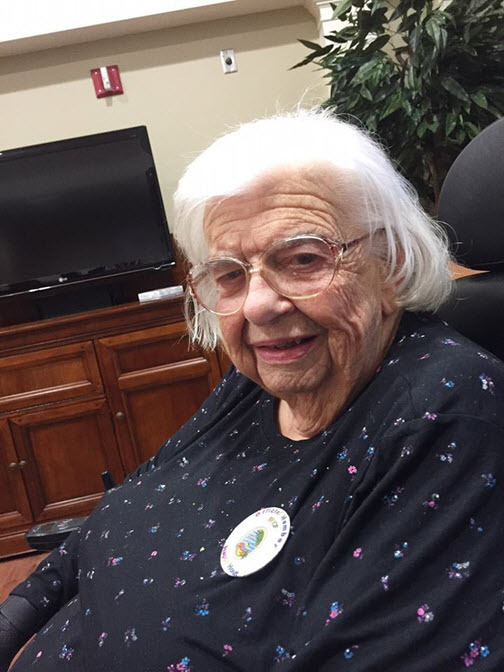 She had been a resident in the Health Care Section of The Nottingham since May of 2015 and had her computer, printer and scanner set up in her room so that she could continue working on several projects including the 2016-2017 Local Phonebook and a booklet to be published on all veterans of all wars buried in the Tully Cemetery. She had been meticulously adding photos of the vets and their headstones - a laborious process. Her goal was to have it available by Memorial Day of 2016 but her death on March 23rd put a delay on the project and a hole in our hearts. She had made a sizeable donation in memory of her mother to have the beautiful pipe organ in the south church restored so it was only appropriate that her funeral service was held in the same sanctuary. Once again, the church was filled with beautiful music, old hymns and the many lives she touched. Click to view her obituary.